Sunday's activities are open to the public and there is no fee to attend. We do ask that people interested in attending to RSVP through the link at the bottom of the page so we know how many to prepare for. Sunday's events will be taking place at the Cathedral of St. Andrew. 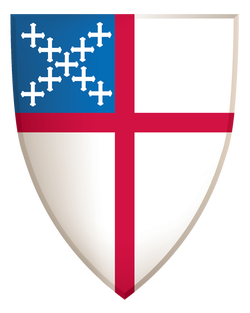 The Most Reverend Michael Bruce Curry, Presiding Bishop and Primate of the Episcopal Church will be delivering the sermon. This service will be live-streamed with overflow seating available in Tenney Theatre. The Margaret "Peggy" Kai Memorial has graciously offered to host this event. The Presiding Bishop will be interviewed by special guest Barbara J. Tanabe, in a candid "talk story" style format. This event will be live-streamed with overflow seating available in Tenney Theater. Churches are encouraged to offer group viewings. If you are planning to attend, kindly let us know so we can prepare accordingly. ​Click on the RSVP button below. Mahalo! Note: The form allows you to RSVP for up to 25 guests. You will have to RSVP with a second e-mail address to add more. If you have any questions, please contact Rae Costa at rcosta@episcopalhawaii.org, or call (808) 536-7776, extension 326. Please be advised that your RSVP is strictly for head count and does not guarantee a seat in the Cathedral. Seating is on a first come basis with overflow seating in Tenney Theatre where both the service and interview will be live-streamed. Plan to arrive early for best seating.